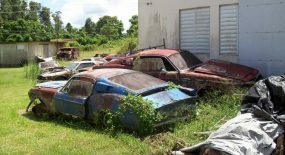 On Richard’s website he states “I have had so many people asking if my car is for sale, that I will post a sale price. Everything is for sale at the right price. 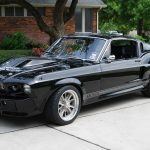 And since Carroll Shelby through Unique Performance is no longer manufacturing these beautiful cars, this has become one of the rarest 1967 Shelby GT500E Eleanor Super Snakes available. It is only one of 17 that has been completed. I am asking $250,000 Firm! If you are seriously interested, use the “Contact Us” page. Please, no crank inquiries. 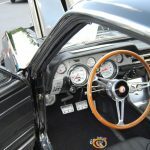 I know i’ve put this in the other post but here is a breakdown of the car. 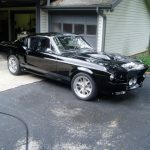 She is fortunate enough to have the last Shelby Aluminum 427FE engine built by legendary race engine builder Keith Craft Racing (builder of all the Shelby Super Snake Eleanor Engines). It has been bored and stroked to 482ci. with a T Trim Vortech supercharger. 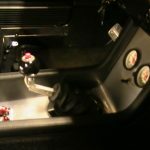 Fast XFI Fuel Injection has been added and it has been dyno’d at 815bhp and 733 ft. lb. torque. Backed up by a TKO 600 5 speed transmission and a 9” rear coilover axle this car has all the attributes of a modern performance car. The front end has been replaced with coilover suspension and a TCP rack & pinion steering kit. The car is pulled to a halt with Shelby/Baer 13” front disc brakes and 12” rear discs. and here is another video of Richard driving her around and laying down a bit of rubber. 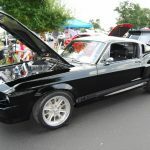 © 2009 – 2017, 67mustangblog.com. All rights reserved. 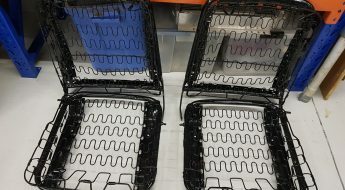 How about 600 levs(in Bulgaria these are about 300 dollars)Please send me an e-mail. 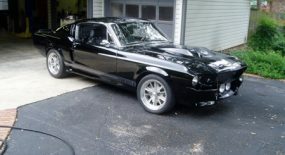 i WILL get a car like this. dont know how, but i will. 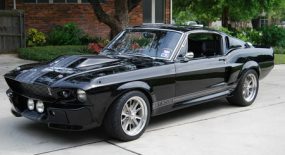 mustang’ super snake’ 67, nice power! 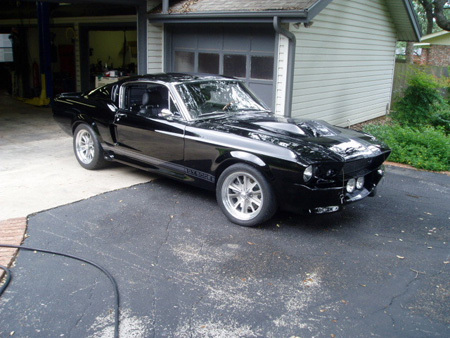 mustang’ super snake’ 67′ nice power! sometime i will take it! i would make sweet love to that car!!!! VERY VERY nice, excuse my drool. that price is worthy just way out of my budget!!! 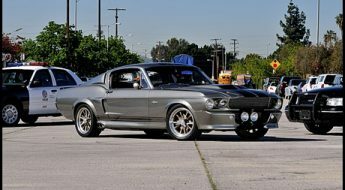 looking to build my own eleanor with my gf any tips would be much appreciated. Quite strange whistling engine sound. Any idea why it is so? 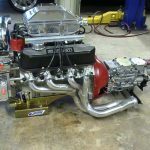 Is this a unique peformance build?.I hear most of the cars they built need to be rebuilt because of bad workmanship.Everything from drivetrain to paint needs alot of attention.Im so glad i didnt buy from them. Adrian, This car was not built buy UP. Richard bought almost all the parts from them and built it himself to their spec. He had a massive thread and then subsequent DVD with all his build pictures and instructions. This is probably the finest one ever built. no expense was spared and the attention to detail was amazing! Absolutely amazing car, Congratulations on making such a wonder! 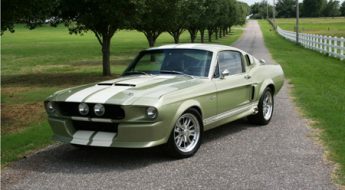 I was looking to buy just a regular “1967 ford mustang gt500” and that was £50,000. Just wondering how much the retail would be on it? I am really impressed with your work of art. If it were mine I would never let it go!!! 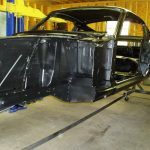 I am just completing an E car four years in the build, It has a full tube chassis with a Martz tube front end, and has a FE 427 with Nitrous 5spd Tremec it is structually and cosmetically superior to this thing here I dare say! and I will let it go for $135,000!!!! after years of looking at E cars and prices this black thing(seriously wrong) is about a $140,000 range given the engine, but no more because its just a good car with a good engine but nothing else! 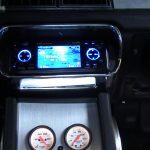 Hey love the car I’m going over there as soon as possible but ill give you 100,000 or 75,000 . You cant not love a car like this. Im obsessed with it and Im only 15. Oce i get the money, im gonna build one from scratch. Got any tips. I work as a mechanic and im building up a 07 gt500 for my dad for christmas. 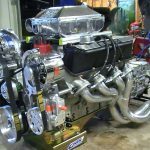 I could use some tips on how to crank out 815 hp. I’ll be getting my money when i turn 18, i love this car. i’ll pay 500,000 for this baby. maybe i’ll buy it from you. i’m trying to find a good deal. write me back. i need to ask you if maybe you could hold it. 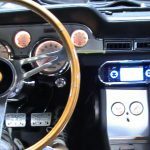 what`s the fuel consumption of this car? how about i just jack this car like gone in 60 seconds and you never see it again? 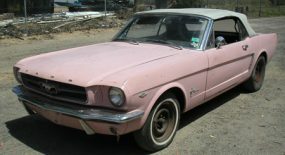 even though i am 16 i have a very bright mind for my future cars so hopefully i come across one of these. 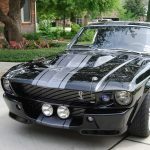 Denice Halicki has killed the Eleanor Mustang. 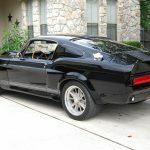 Denice Halickiclaimed a copy of a Shelbys design from Chip Foose and then sued Shelby and claimed it as her own and now she is actually signing Eleanor Mustang cars. Denice hides behind God to sue innocent people and claim she is a victim. SCAM SCAM SCAM. She is one of the biggest cons and crooks in the market today. 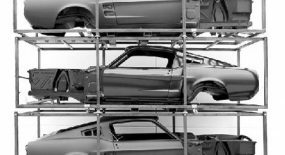 A signed Eleanor from her is worthless today and the laughing stock of the Mustang industry. It has always been my dream to have one of these car’s. I wanted my step dad see if he could buy me one for my 16th birthday but he died from a sudden heart attack. My family has been struggling with money ever since then. It was nice to see one so well taken care of. I hope the person who gets to own it treats it well. I know I would, its a peace of history that is about to be forgotten. 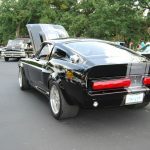 Its not just a fast car but a memory of how we made life easier and fought to make a good car that everyone would love. Maybe ill win the lottery. I love the car, it’s absolutely gorgeous. But I can’t get with you driving it in birkenstocks. Sorry. That’s just weird. im 20.maybe one day ill be able to drive that. just to drive it will be awesome!! Whoever gives 250000 for that car is crazy. You can build one for less and make it the same or even more powerful. Good luck even getting a flat 200,000.
hay Richard nice car.you are so lucky cos you got that beauty.don’t sell it. yo man this is beatufil whats its top speed. . . and how much money did u put in it. . .? Hey I want to know will Richard be building another one as that. Because DAMN That is a beautiful car and one of a kind wish I could sit behind her steering wheel.